I’ve been reading selections from Balthasar’s poetic work “Heart of the World.” (Is it strange that every time I hear that title I think of the Kanye West/Katy Perry song “E.T”: “You’re from the heart of the world / A different dimension”?) It is much different than his other books in style, and yet his theology remains the same… the “opening” of the world to the transcendent through the beautiful, true and good, the analogy of being as a dynamic communication between the heavenly and the earthly. 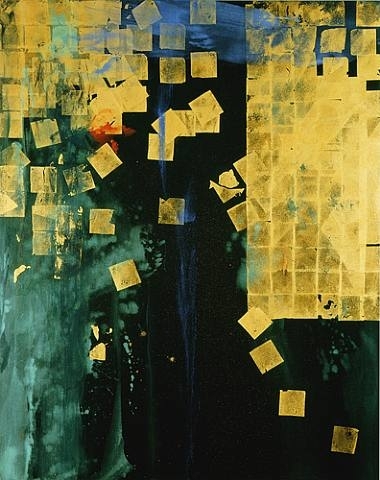 This passage captures something of the interplay between creativity and cultivation, chaos and order, the particularity of the world and the infinite “world” all around us… as does, perhaps, this wonderful painting from Makoto Fujimura. Hans Urs von Balthasar, Heart of the World (San Francisco: Ignatius Press, 1979), 210-211.